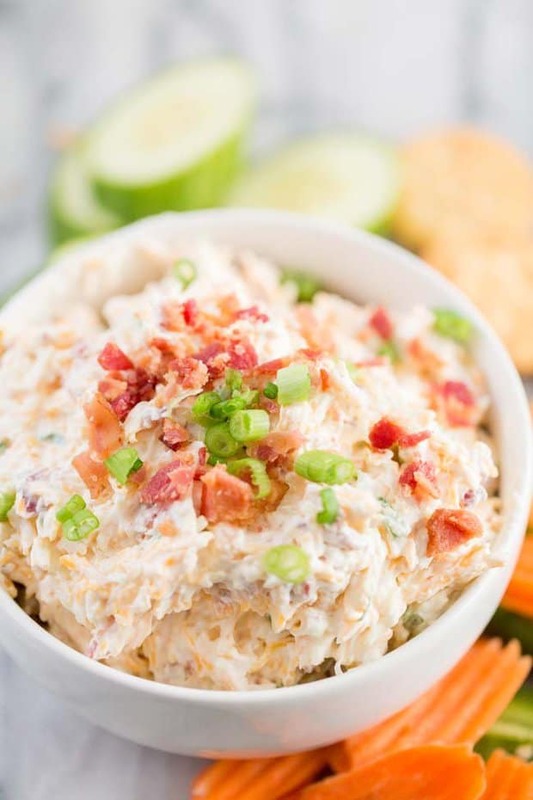 If you need a delicious and easy appetizer to make for your friends and family, then this Million Dollar Cream Cheese and Garlic Dip is the recipe for you! All you need is 5 minutes and a few ingredients to make something that everyone will LOVE! 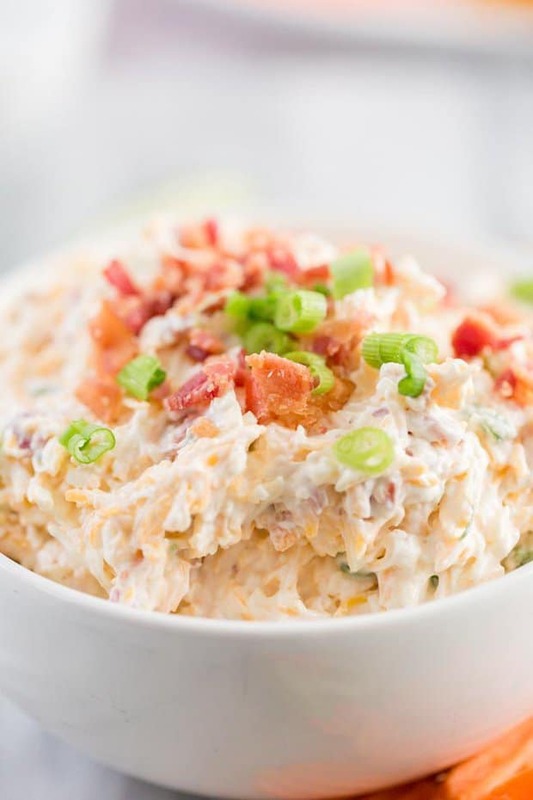 Find the kids and ask them to help… it’s so simple they could even make this recipe for you! No cooking involved. Just dump, stir and go. When it comes to garlic, I’m a firm believer that there is no such thing as enough. I know not everyone will agree with me, but if you love garlic as much as I do then you’ll understand where I’m coming from! 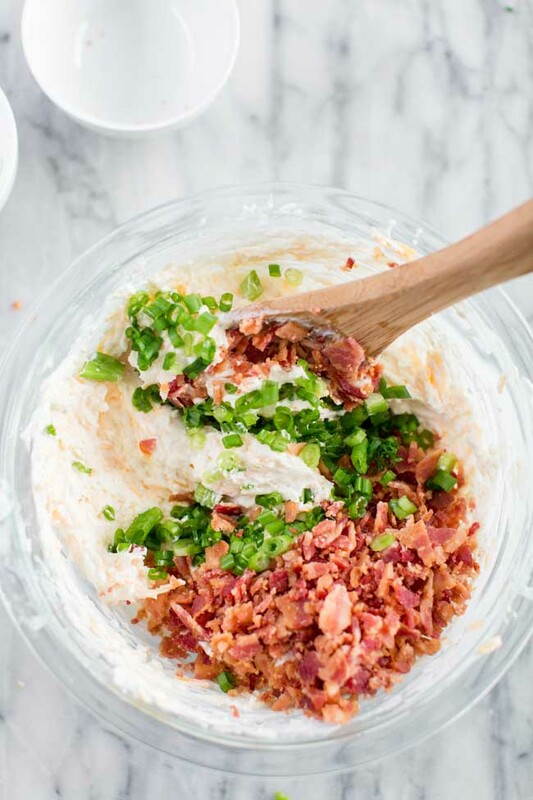 There are so many different dishes and ways to use garlic… and this Million Dollar Cream Cheese and Garlic Dip is one of my all time favorites! 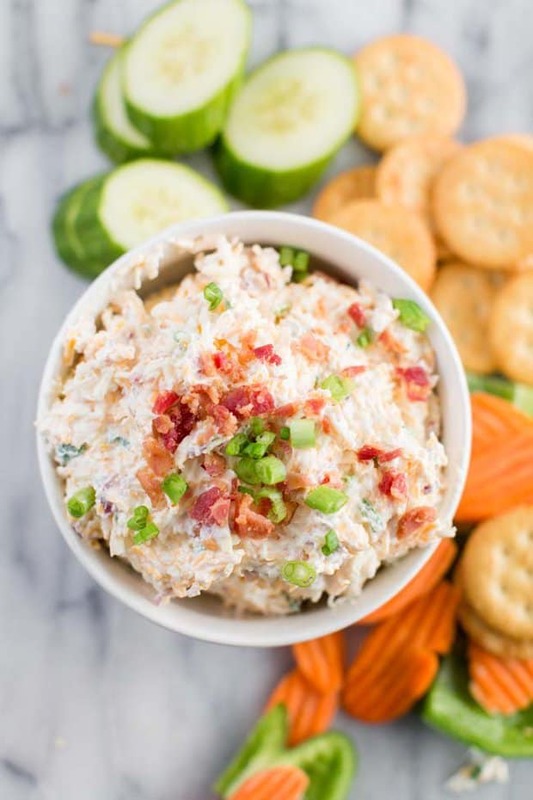 With it’s creamy texture and bold taste, it makes the perfect appetizer for Holidays, Picnics, Potlucks, or anytime you need something delicious and truly crave-worthy. Ever since I started experimenting in the kitchen in my teens, I’ve loved garlic. I add it to as many of my recipes whenever possible. I love the incredible flavor it adds, and the rich depth that you can taste. The health benefits are nothing to ignore either! 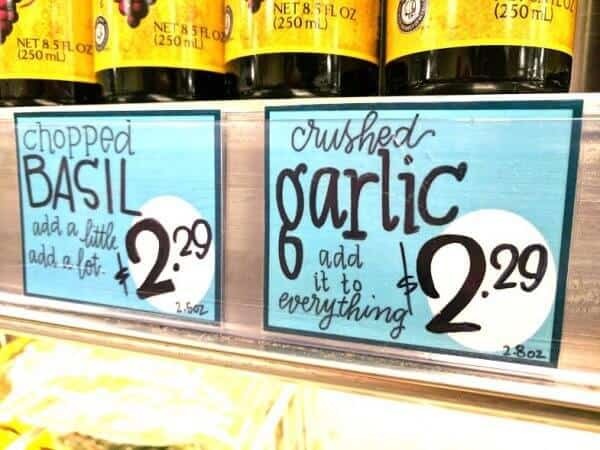 As if I didn’t love garlic enough, it got even better for me recently. I discovered Dorot. Holy cow, that stuff is so easy to add to any recipe. Just check out the way it’s packaged — in cute little cubes that just pop right out of the package. No more trying to chop garlic in your kitchen. No more stinky hands. This awesome product is easy to use and has a strong flavor that you are going to love. You haven’t hear of Dorot yet… well, let me tell you: it’ll become one of your new favorite products in the kitchen! Dorot offers fresh, frozen, portion controlled garlic and herbs. You can choose from Garlic, Ginger, Basil, Parsley, Cilantro, Dill and now Glazed Onions too! So many ways to use this in so many different recipes. Pastas, soups, dressings, sauces — the list is endless! 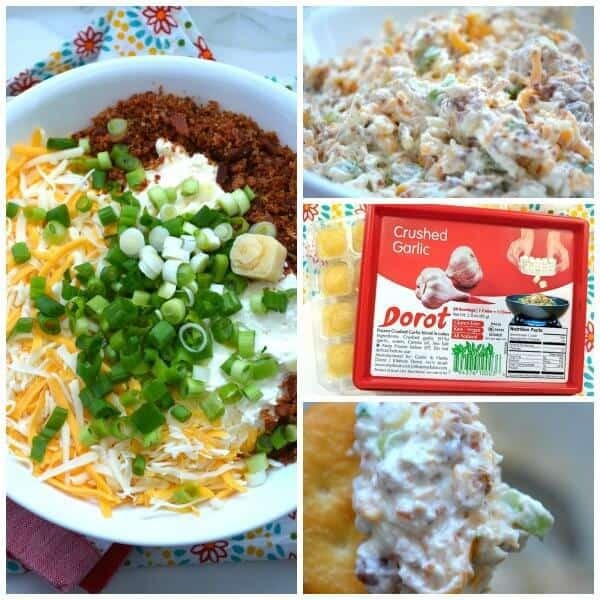 What does cooking with Dorot look like? First, they grow their own garlic, basil, cilantro, parsley, chili and ginger. At peak freshness, they pull their products from the fields, process and flash freeze into convenient trays within 90 minutes of harvest. Can you even believe that?! With a two year shelf life, you can have fresh Garlic, Onions and Herbs year round with the simple “pop” of the tray. That’s an amazing fresh guarantee! We have one of each in our freezer right now which means no more wasting fresh herbs — just grab it and simply put it in your recipe. Dorot makes cooking even easier thanks to the pre-portioned garlic, onions and herbs which eliminate chopping and measuring, making it effortless to season and flavor your cooking. I find it’s another great way to get my kids to help in the kitchen since they can help without using a knife! I picked mine up at Trader Joe’s during a recent shopping trip. Obviously, I decided to make Million Dollar Cream Cheese and Garlic Dip featuring the Dorot garlic. It was a great way to make this delicious recipe even easier. The Dorot garlic is SO fresh – it really gives the recipe an extra boost of flavor. All you need is 5 minutes and a few ingredients to make something that everyone will LOVE! 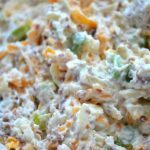 Find the kids and ask them to help... it's so simple they could even make this recipe for you! No cooking involved. Just dump, stir and go. We don’t have a Target or Trader Joe’s and no Dorot garlic. How much fresh or jarred garlic would you use? Can this be pressed into a mold or will it lose shape? This was delicious. I took it to work and crowd went wild! I did omit the garlic and added a couple of dashes of Worcestershire sauce. This is a keeper! I make it with “Buddig” corned beef (shaved lunch meat) you can also use pastrami, instead of bacon for those that do not eat pork. I also use a little bit of French’s Worcestershire sauce about a tsp. 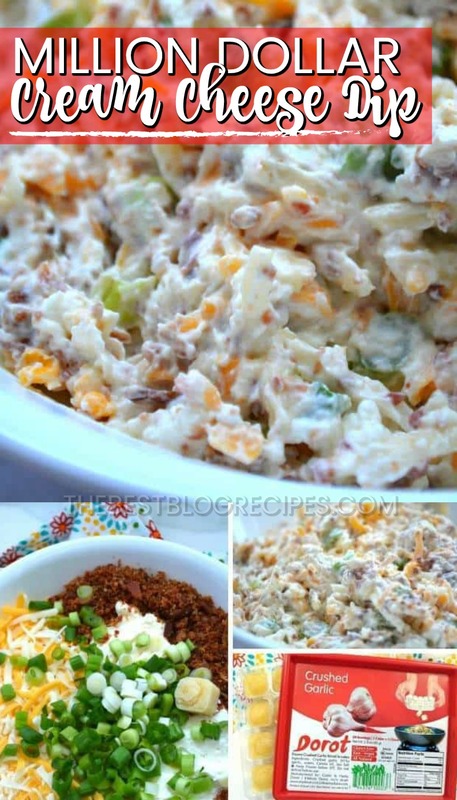 Leave out the Mayo then you can form it into a ball and roll it in green onions and the beef, makes a great cheese ball. Does anyone know how many carbs this dip has? Recipe says 3g per serving. I assume this would not include the cracker carbs. This is for those who asked about freezing. Cream cheese gets a horrible texture when frozen, it gets grainy and falls apart, so I wouldn’t recommend it. I think you would be better with smaller batches and just remaking it when you need it again. Can u use green bell pepper or celery instill of green onions!! I haven’t tried to do that, so I don’t have a clear answer for you! I’m sure you could, I just don’t know if it will effect the consistency much. This recipe sounds and looks delicious! Will be making it for the holidays. Someone brought this to our Christmas Snack party it was wonderful. Now I’m taking it to another party this week. Do you buy precooked bacon or cook it yourself & crumble, it surely isn’t raw? Any substitutes for BACON for those of us who don’t eat pork? Whenever a recipe calls for minced garlic, I put the garlic bulb through a garlic masher. My favorite tool.Works great. There is a vegan bacon recipe on this site might try that? 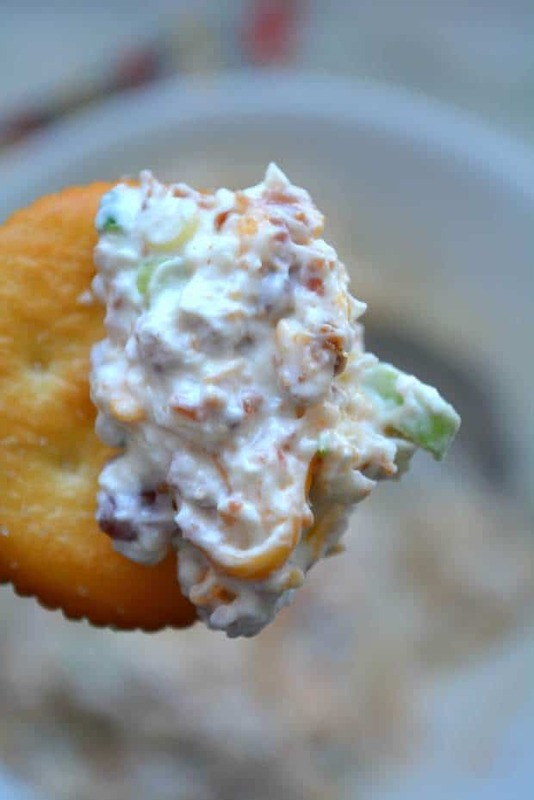 I took this dip to a party the other night and served it with Ritz crackers. It disappeared in no time. I had asked the on the post what kind of Mayo they used as that makes a difference…the poster said some brand I had never heard of so here is what I did. First the whipped cream cheese comes in a 12 oz tub so I muliplied the recipe 1.5 times. For the garlic I added 1 clove fresh plus 1 tsp of jar garlic. And for the Mayo I did 1 cup Kraft Real Mayo full fat and 1/2 cup Hellman’s real Mayo full fat. I did let in mingle in the fridge for about 3 hrs. Which totally brings out all the flavors. Enjoy its a big hit at any party!! I don’t remember if the brand was Dorot at TJ’s, but I got some frozen chopped basil that was cubed also. It worked great in recipes. No bruised basil! 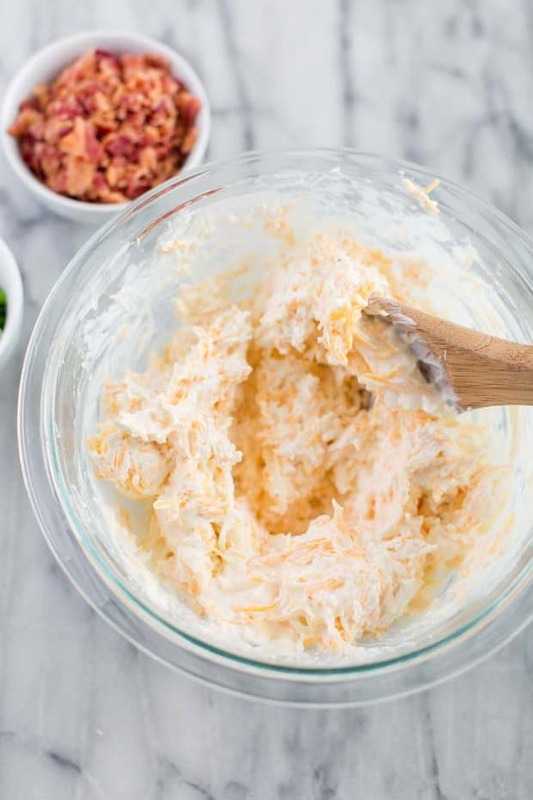 Could you substitute sour cream for the mayonnaise as we do not like mayo? You could definitely try it that way! 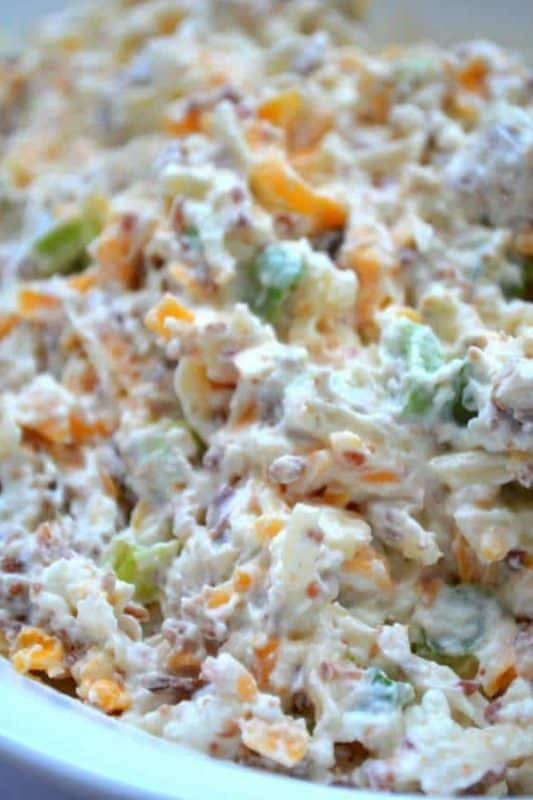 Hi, I am going to make this dip today for a get together and I was wondering what Mayo brand/kind you use. I ask because I know they taste different like Kraft real mayo is different from Hellmans mayo. 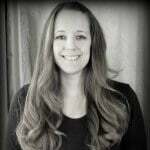 I look forward to your input on what you use and I cant wait to try it as it looks amazing. I used Best Foods when I made it! Has anyone ever tried this heated so the cheeses are all melted together? I made some extra—could you freeze this? On my this recipe sounds so good and EASY!!! My daughter sent me the link while she was in New York so I wanted to have the ingredients to fix it for her when she came home. We do not have a Traders Joe and I shop at Kroger. I got a woman who worked there to help me with finding this garlic stuff and the closest thing we could find was minced garlic. So that’s what I’m gonna try and I’ll let you all know how it turns out. Also I had a question about the cream cheese. Recipe says whipped, and I have no idea what whipped cream cheese is unless it means to use your hand held mixer and use it until it becomes kind of fluffy. It’s what I’m gonna try. Again I’ll let you know how it turns out! If anyone has suggestions on the minced garlic and have already trued it, I will check back here before I start later today. Thank you so much for the delish recipes you provide here! Always looking for something different and EASY!!! Whipped cream cheese comes in a tub, not a bar – similar to whipped butter. You can find recipes for making whipped cream cheese – it requires adding milk, cream or half and half to softened bar cream cheese. It is lighter and fluffier and makes for a softer dip. I used 1 clove of fresh garlic and minced it myself, as fas as whipped cream Cheese just allow your block of cream cheese to get room temp or I put mine’s in the microwave to soften. It turned out great. I added a small amount of lemon juice to added a kick to it. They still whipped cream cheese next to regular. It’s light and fluffy, ready to stir. In the UK we have had frozen chopped garlic,chilli, ginger and herbs for the past 10 years. How many cloves of garlic would you substitute? Each cube is one clove! Looks so great. I hope I can find this locally. Do you know if Walmart may carry this as a Trader Joe’s is no where around our town. If I can’t would you kindly tell me what to add if I can’t find it. Thanks for a remarkable looking recipe. Want to try as soon as possibke. First time I’ve seen your blog. Hope to see much more. I know quite a few stores carry it. It’s an amazing product! If you can’t find it, go ahead and add fresh garlic instead. Enjoy! I did find this a few months ago at Walmart. It was in the freezer section with the vegetables. Would this be considered a low carb recipe ? I think it could be, but I don’t have nutritional info for it so I don’t know the exact ratios!